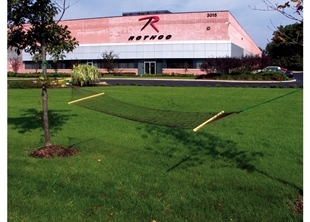 Rothco's deluxe hammock is built for comfort. The 31 inch wooden spreader bards ensure the hammock doesn't swallow you up. Made from heavy duty polypropylene ropes, when stretched out it measures 80 x 30 inches. This hammock will provide the relaxation you are looking for. 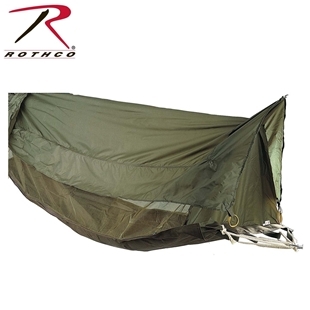 Rothco's GI Style Jungle Hammock provides elevated shelter with protection from outside elements. 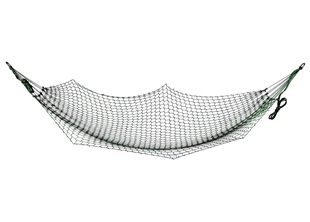 The hammock features mesh netting, taffeta nylon coated roof, heavy cotton canvas floor, and attached ropes and clews.